WordPress - Build a Free Pro eCommerce store with WordPress | Free eBooks Download - EBOOKEE! Welcome to this course, in this course we're going to take you through the whole process of building a great-looking WordPress e-commerce store. Unlike other courses we are not going to just tell you how to use a WordPress plug-in, or how to build your eCommerce store, we are actually going to take you through the whole process step by step, until we have a complete store ready to sell products. We will cover installing WordPress, downloading and activating the woocommerce plugin, adding both simple and variable products, with up sells and cross sells. We will add a returns policy page, an about us page, and a contact page. Once we have our pages built we will add menus, and then demonstrate how to customize the highlight colors of your site to match your logo. 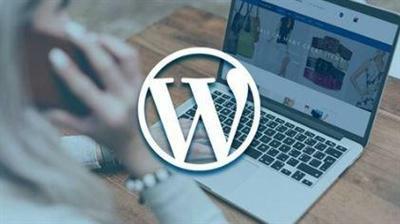 By the end of this course you will have a fully functional WordPress e-commerce store ready to sell your product. No comments for "WordPress - Build a Free Pro eCommerce store with WordPress".